If you were an early adopter of Zimbabwean Hip-Hop music (like me) will recall the name Mo' VIP Family, with Jay Bone, Baby Biggie, Sosh and DS being some name I still remember from the collective. Well Mo' VIP is back with its new set of artists. 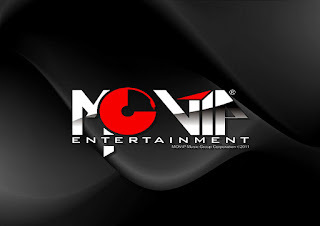 If you were an early adopter of Zimbabwean Hip-Hop music (like me) you will recall the name Mo' VIP Family, with Jay Bone, Baby Biggie, Sosh and DS being some name I still remember from the collective. Well Mo' VIP is back with its new set of artists. Five singles launch the rebranding of the Mo VIP Entertainment label with its new acts showcasing the youthful acts that fuse Hip-Hop and R&B with a Zimbabwean twist. Jaybone, Ishy X, Carlo & Anita J - You Say You Love Me (I Need You) off the Voltron Riddim.